The Raspberry Foundation has launched the first Pi exactly today four years ago that is Feb 29th, 2012. 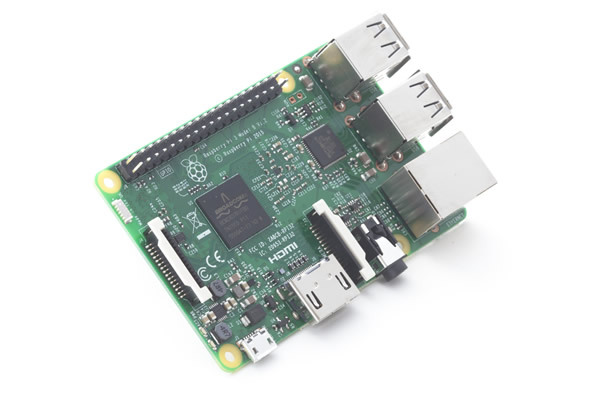 Since then the Raspberry Foundation has launched Pi 2 and quite recently the most affordable Pi Zero. Today after four years they are launching the Pi 3. Raspberry Pi originally launched as an cheap alternative for kids to code has grown and found several audiences, till now it shopped some eight million devices till date. The latest iteration the Pi3 costs $35 and comes with a 64-bit SoC and comes with an integrated Wireless LAN and Bluetooth. The new Pi 3 is significantly more powerful than its predecessors and is available at the same price, at just $35, as its predecessor Pi 2. It is powered by a 1.2GHz 64-bit quad-core ARM processor. If you are wondering you can still get the Pi Model B+ and Pi 2 Model B selling for $25 and $35 respectively along with the Raspberry Pi 3. The Raspberry Foundation like its predecessors the board can be run with the 5V mini-USB adapter, but if you are connecting power hungry USB devices then you should use 2.5A adapter. The Raspberry Pi 3 will be available from the usual Pi resellers including element 14 and RC Components.